This week we're launching D5, an international network of like-minded governments working on digital transformation of public services. The founding members are Estonia, Israel, New Zealand, South Korea and the United Kingdom. D5's purpose is to promote international co-operation. We're always talking about being open and sharing our work, and D5 makes it easier for us to do that face-to-face. It gives us a platform for debate and discussion, a chance to be supportive and to ask for support. We want to put the emphasis on practical help for specific problems. 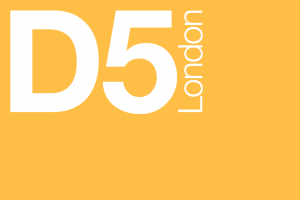 The first D5 meeting opens on Tuesday (9 December) in London. There will be a lot to talk about, but some of the topics we've lined up for this inaugural meeting include connectivity, teaching children to code, and open markets. D5 members are united by a willingness to be open. At Government Digital Service, we've begun changing government's relationship with technology. We're bringing digital skills in-house, we're encouraging small short-term contracts with small and medium sized business suppliers, and we're adopting open standards and open source software. We're building platforms to make digital government more efficient. We're sharing our data through the Performance Platform. South Korea has had something like the Digital Marketplace for years now, and boasts a national connectivity infrastructure that's the envy of the world. Estonia has pioneered open source components and digital signature technology. Israel is famed for its vibrant start-up culture and its approach to teaching computer science to the developers of the future. And New Zealand's Result 10 is a radical programme for public service transformation. There's so much we can learn from all of them. Needless to say, this is just the beginning. D5 is not a single event, it’s the start of a long-term relationship. I have no doubt that it will grow, and that all five founding members will welcome the chance to learn more from those that follow. I can’t wait to get started.